Manchester United could be set to follow up the imminent arrival of the Alexis Sanchez with the signing of club legend, Cristiano Ronaldo. The soon to be 33-year-old is highly revered at United, having spent 6 years at the club between 2003 to 2009. Ronaldo is unsettled in Spain as he wants a pay increase that will see him earn close to the £500k-a-week Lionel Messi currently takes home in Barcelona, though it is understood that Real are stalling on paying such wages for him given his age and current form. Express Sports reports that United are willing to bring back the player to The Theatre of Dreams and are not deterred by the £176m being currently quoted by Real for any club interested in his signature. United believe that with his image rights and shirt sales as well as the buzz surrounding a return to the club will help recoup a chunk of his potential transfer fee. Lexta also suggest that despite a rocky working relationship between Jose Mourinho and Ronaldo from their time at Real Madrid, the Portuguese tactician wants the player to be signed if he is available. 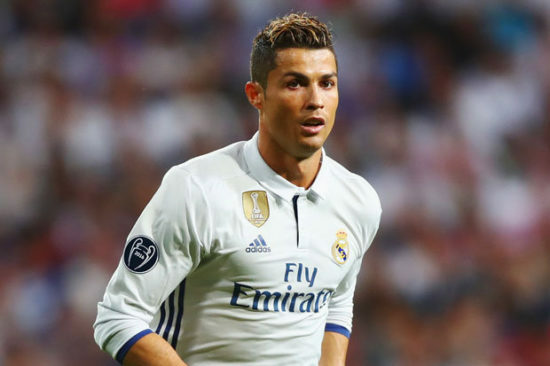 Ronaldo has scored just 4 league goals this season which is nowhere near his usual levels of excellence and it is believed that the player would be willing to move back to England, as a recent poll showed that 70% of the Real fans want the club to sell him. Ronaldo has never hidden his intention to return to Manchester United, as he claims he played his best football in our red colours despite reaching unprecedented levels of goalscoring in Madrid. He has 376 career league goals, and over 600 in total. Ronaldo scored 118 times in 292 matches in his time at United, culminating in a Ballon D’Or triumph back in 2008, which still remains the only time the accolade has been given to a player plying their trade in the Premier League.